Red hot outfit in this red hot summer? Don’t mind if I do! Starting a big big big 18 month work project at the end of this month! I’m going to be running the massive & complex project and be traveling to DC with some regular frequency. 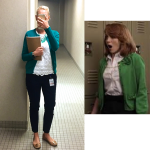 And best news of all – I’m going to have my favorite co-worker & twin as my right hand man on this project! Exciting stuff! 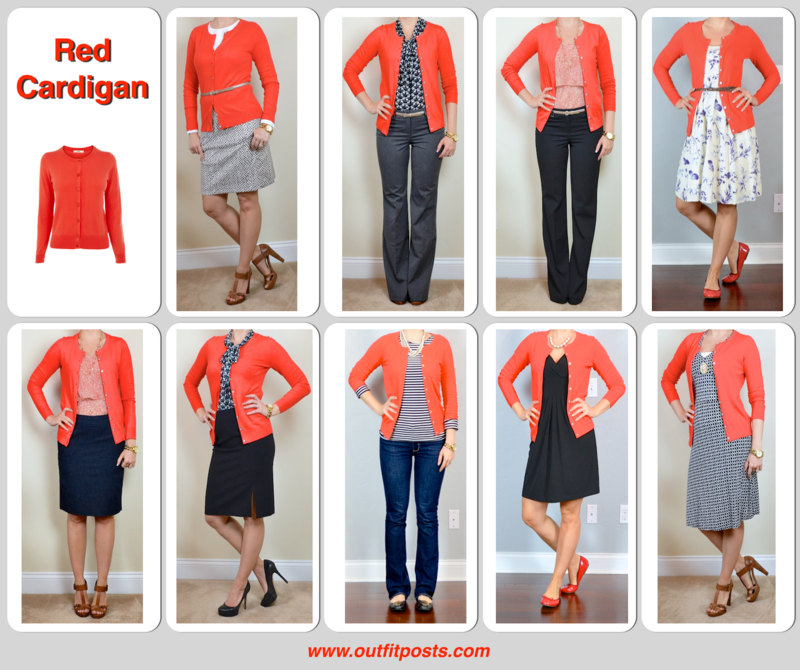 This red cardigan has gotten a ton of use over the past five years! 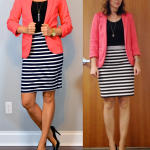 Click here for previous outfits and below there is a roundup graphic I did awhile back of a few outfits with the cardigan. I love this outfit! Super professional but so much fun!